THE JEWS IN SAVANNAH: One thing that continues to fascinate me is the story of Uriah Levy’s great-great grandfather Dr. Samuel Nunez and his escape from the Inquisition in Portugal with his family first to England, and then to Savannah, Georgia, in 1733. I covered that in Saving Monticello, citing several sources, including “The Jews in Savannah,” an article in the November 1843 issue of The Occident and Jewish Advocate written by Mordecai Sheftall, a descendant of one of the families that came to Savannah with the Nunez family. The Jews who came to Savannah from London were a mixture of Sephardic and Ashkenasic. They “brought with them a Safer Tora, with two cloaks, and a Circumcision Box, which were given to them by Mr. Lindo, a merchant in London, for the use of the congregation they intended to establish,” the article notes. The first English settlers, led by James Oglethrope, had arrived at Yamacraw Bluff on the Savannah River just five months before, on February 13, 1733. That’s when they formed Georgia, the last of the original thirteen British North American colonies. The city’s lots were apportioned just days before the Jewish families arrived. Soon after they arrived, in July of 1733, the Sephardic families decided to start a synagogue in a rented house on Market Square. 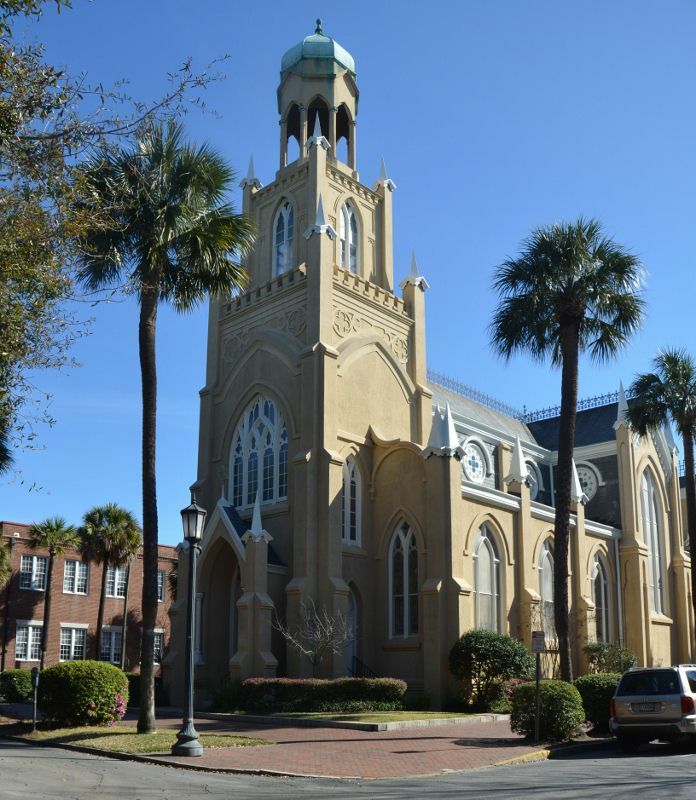 They named it Kahal Kadosh Mickve Israel, “Holy Congregation, Hope of Israel.” That congregation, since 1878, has had its home in an imposing neo-Gothic building on Monterey Square (above). It was the first Jewish congregation in the American South, and is the third-oldest in the United States. The congregation still uses the 1733 torah in its annual Shabbat anniversary service. Thanks to Shannon Foley Slaughter of the Descendants of Dr. Samuel Nunez Facebook Group for pointing me to the article. 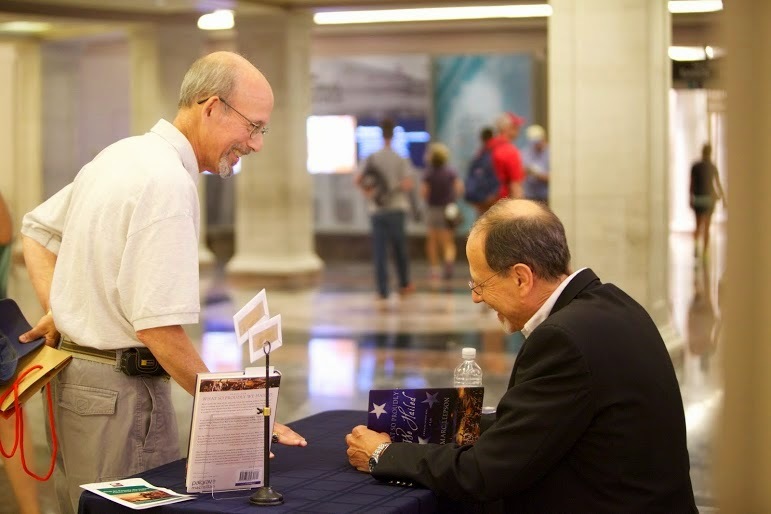 EVENTS: Here’s a rundown on my May events, four of which deal with my book, Lafayette: Idealist General, in preparation for the visit in June of the replica ship L’Hermione, which Lafayette sailed on his second trip to the U.S. in 1780. Tuesday, May 5 –talk on Saving Monticello for a Historic Preservation class at the University of Maryland, College Park, Md. Friday, May 22 – 7:00 p.m. talk on Lafayette and book signing at the Free-Lance StarrBuilding, Fredericksburg, Virginia, sponsored by the Fredericksburg Sister City Association. 616 Amelia Street, Fredericksburg, Va. Free, open to the public. Sunday, Mar 24 – 3:00 p.m. talk on Lafayette and book signing at York Hall, Yorktown, Virginia, sponsored by the York County Historical Committee. 301 Main St., Yorktown, Va.Info: 757-890-3508. Free, open to the public.